It is common knowledge that no one wants to follow a great act, and designers are no exception. 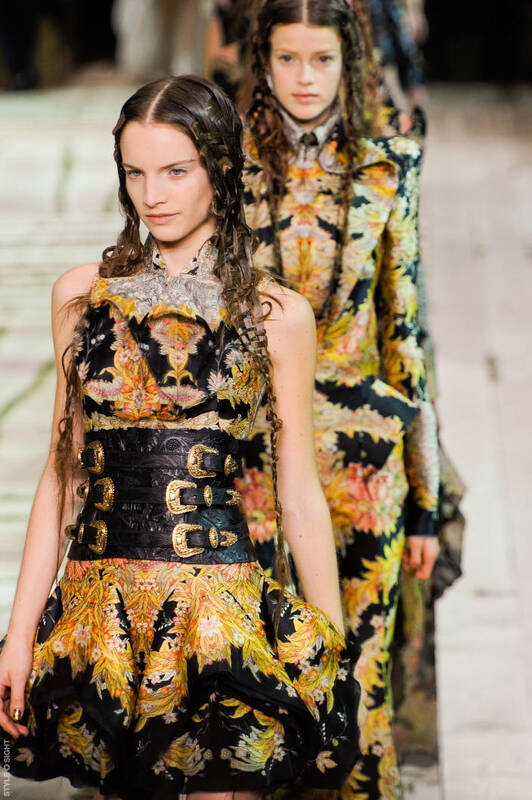 Therefore, when The Gucci Group announced the continuation of Alexander McQueen after the designer’s tragic death, the world of fashion released a sigh of relief while also questioning the future of the brand. 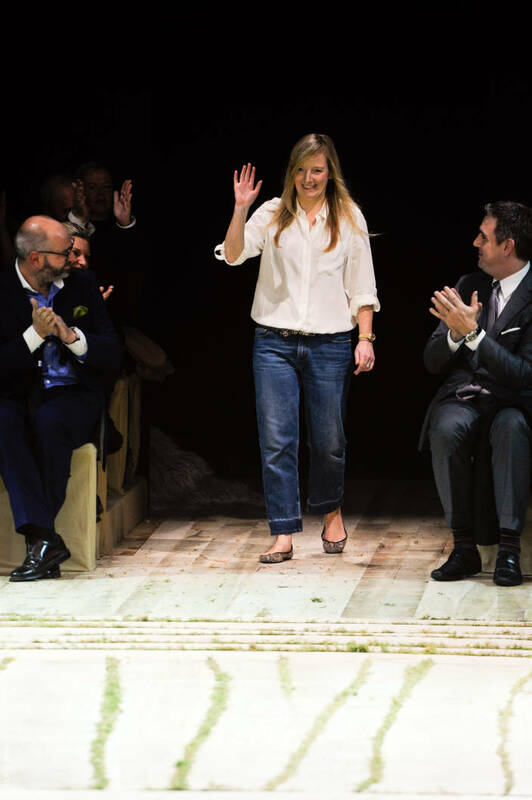 The appointment of Sarah Burton, head designer at McQueen for over a decade, as Creative Director proved to be a smart move by the Gucci group. Last week in Paris, Sarah showed the fashion world that they need not be worried, she has it all under control. She reassured fans with a collection of familiar techniques, silhouettes, drama, and craftsmanship. 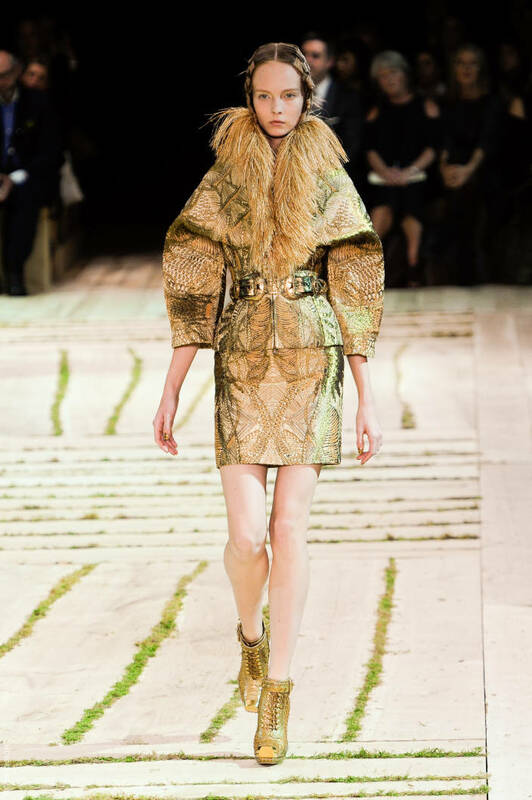 The collection itself drew heavy inspiration from nature and employed similar silhouettes and themes from McQueen’s last two shows. Burton has declared her plans to infuse more “tender” moments within her designs adding a softer side to the mostly dark references of the past. This was seen in her show venue as well as her designs. 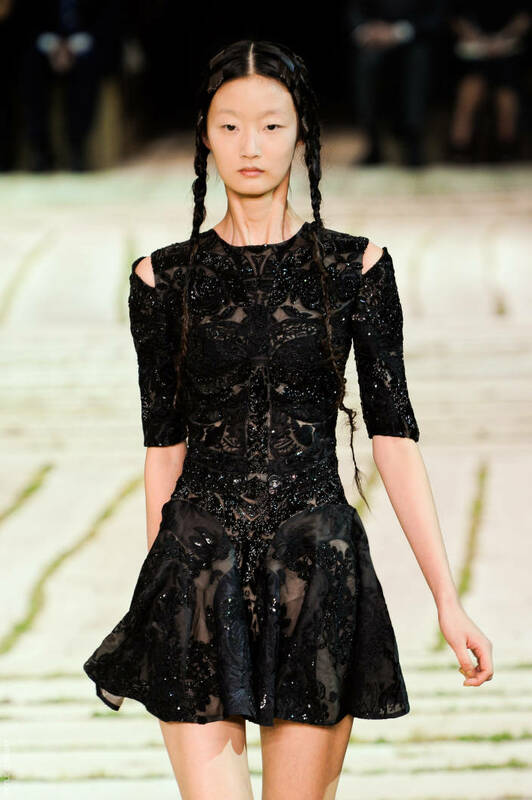 The collection possessed some key elements that are associated with McQueen in both old and recent times. There was a heavy focus of craftsmanship, best demonstrated by the appliqué inspired separates made of leather laser cut into shapes of leaves. There was also a heavy emphasis on silk digital printed dresses(a McQueen standard), as well as the menswear tailoring seen in white tuxedo tailcoats and low-rise trousers. 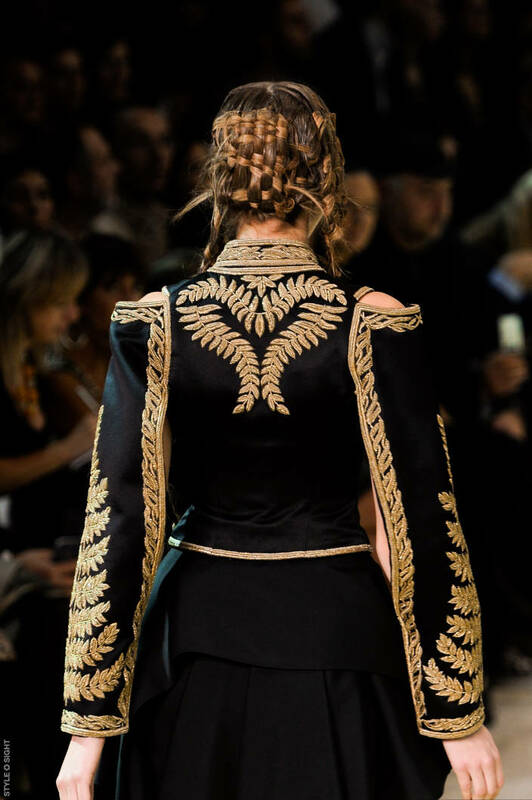 The prints and ribbon embroideries were consistent with the style of the last few years and McQueen’s sense of shape was masterfully exhibited yet again. 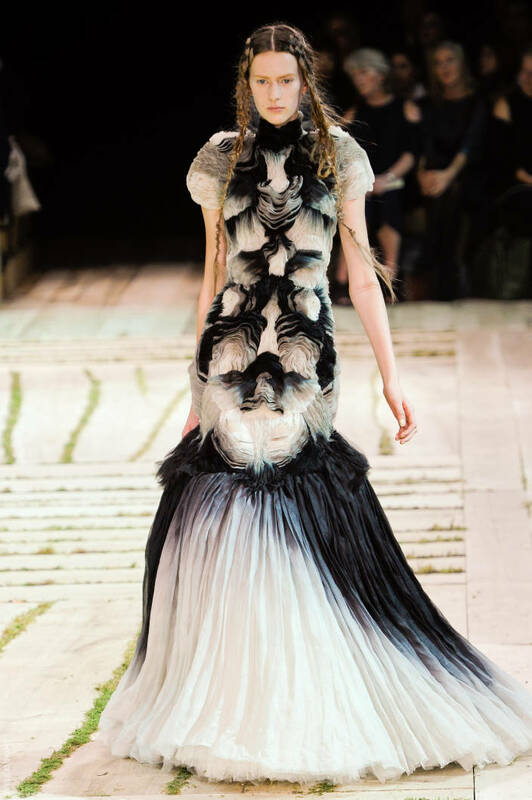 Sarah infused references that McQueen is known for throughout the collection like feathers and hand-painted leather butterflies that clustered on the shaped dresses. All in all, beautifully crafted clothing marched down the runway, but it did not seem overly nostalgic and archival. The clothes are still exquisite and exciting with a sense of beauty and adventure showing us that she was definitely the best match for the challenge ahead. In the future, we hope to see Ms. Burton develop the brand by infusing her own references into the heritage that is McQueen. 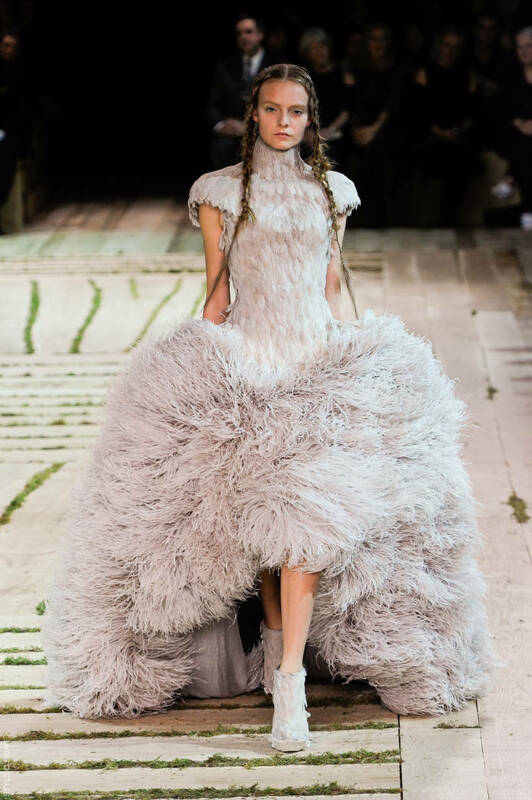 Looking forward to seeing more for seasons to come…..LONG LIVE MCQUEEN!!!!!!! Thank you so much for subscribing, that should do the trick to get you all of our posts! Amazing story, saved your website with hopes to read more information!